PBS Masterpiece Classic will show an encore presentation of Persuasion 2007 tonight. If you missed this 90-minute film the first time, you will have a chance to see it at 9 PM EST. (Check your local listing). I’d have wanted another actress to play Anne Elliot, SH is just too plain. I love this film! And I think that even though Hawkins is plain, she brings forth the essence of Anne. I had the chance to see it on the 21st, and loved it all over again! 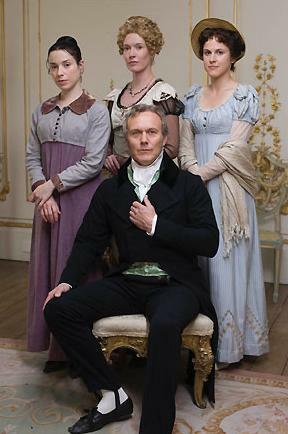 The amazingly fabulous Rupert Penry-Jones was what made this production worth watching many times over! Sally Hawkins is lovely. The heroine in the books isn’t a beauty, she’s rather ordinary in fact. I love this adaptation. The 1995 version has more of the book in it, but the directing and the chemistry between the actors and the beautiful music make this one my favourite. One of my absolute favourite books. I love it. It’s one of the most extraordinary things ever written. As the novelist Mary Mitford once said of it, it quite haunts me. If the ending doesn’t move you to tears, then you’re dead inside.